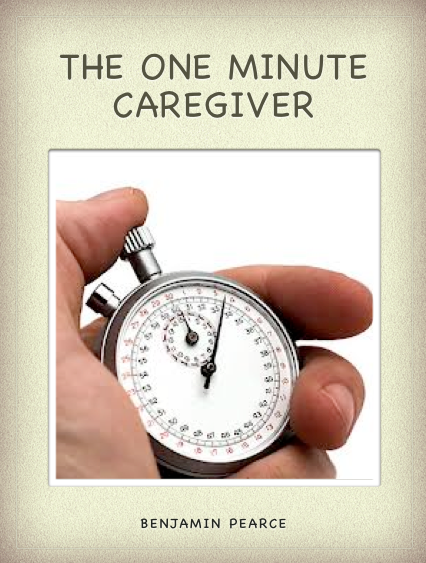 The One Minute Caregiver: Is Alzheimers Care a Tax Deductible Expense? Is Alzheimers Care a Tax Deductible Expense? Over the years I have been asked countless times by residents and families "Are the costs associated with the care they receive tax deductible?" While much of the tax code is subject to varied interpretations, and each individual should seek competent advice from their own professionals, it appears that the answer to this question is "likely." Section #213 of the publication Selected Federal Taxation Statutes and Regulations states "There shall be allowed as a deduction the expenses paid during the taxable year not compensated for by insurance or otherwise for medical care of the taxpayer, his spouse or a dependent to the extent where that expense exceed 7.5 percent of adjusted gross income." The exact definition of medical care has been further explained in Section 1016 "If an individual in a nursing home or a home for the aged because of his physical condition and the availability of medical care is a principal reason for his presence there, the entire cost of maintenance, including meals and lodging is deductible." The key distinction is the purpose of living there. If it is for personal or family reasons, then only the portion of the cost attributable to medical or nursing cost is deductible. The reason that the deductibility becomes cloudy is that service fees in assisted living facilities bundle the medical care component with room and board, making it difficult to determine or justify what portion of the rent covers the care of the resident. Further, most assisted living facilities go out of their way to advertise that they are not a medical care facility. Officially it is defined as: "Assisted living facilities are a type of living arrangement which combines shelter with various personal support services, such as meals, housekeeping, laundry, and maintenance. Assisted living is designed for seniors who need regular help with activities of daily living (ADLs), but do not need nursing home care." Under this definition the deductibility of costs associated with these facilities may be hard to justify. Publication 502 by the Department of the Treasury, Internal Revenue Service entitled Medical and Dental Expenses helps to clarify the question. "You can include in medical expenses the cost of medical care in a nursing home or home for the aged for yourself, your spouse, or your dependents. This includes the cost of meals and lodging in the home if the main reason for being there is to get medical care. Do not include the cost of meals and lodging if the reason for being in the home is personal. You can however, include in medical expenses the part of the cost that is for medical or nursing care." This means that in an assisted living facility, unless the purpose of the stay is to receive medical care, the cost of lodging and meals may not be deductible. However, if the individual is chronically ill, as defined under the section entitled Qualified long-term care services all costs associated with the care and supervision of the individual may be tax deductible subject to the 7.5 percent adjustment. Chronically ill is defined in Publication 502: "A chronically ill individual is one who has been certified by a licensed health care practitioner within the previous 12 months as: 1) Being unable for at least 90 days, to perform at least two activities of daily living without substantial assistance from another individual, due to the loss of functional capacity. Activities of daily living are eating, toileting, transferring, bathing, dressing, and continence or 2) Requiring substantial supervision to be protected from threats to health and safety due to severe cognitive impairment." With the enactment of the Kennedy-Kassebaum bill, the law is now clear. Congress stated clearly that the tax code should provide equal consideration for persons with Alzheimer's disease or other irreversible dementia. The only cloudy area remaining is the fee structure of the facility in which they reside. Another important consideration is the entrance fee, lifecare fee or "founder's fee". "You can include in medical expenses a part of the lifecare fee or founder's fee you pay either monthly or as a lump sum under an agreement with a retirement home. The part of the payment you include is the amount properly allocable to medical care." Many of today's assisted living communities charge an entrance or maintenance fee. This fee is intended to cover administrative processing and maintenance of the property, rendering it a non-tax deductible expense according to the Internal Revenue Service. Memory Care Units, which are dedicated to caring for people with Alzheimer's disease and related dementia rendering substantial supervision to protect residents from threats to health and safety due to severe cognitive impairment, meet the test. Residents fall under the care of licensed health care practitioners who certify their status. In units specifically designed for the care of those with Alzheimer's disease and related dementia, the care, meals and lodging are in integral part of the complete service plan to constitute "medical care." An entrance fee, if it is intended to cover the cost of the initial assessment, and development of the plan of care for the resident and relates completely to medical care, should qualify it as tax deductible under the definition. What does all this mean? Well, depending upon your personal income, the deductibility of your monthly fees in a special care unit properly qualified can result in an annual after tax savings of between 15 and 20 percent. If you are looking at several different providers offering similar environments and care, this after tax savings could be a deciding factor on who to choose. So it might be more than worth your while to check this out with your accountant or financial advisor prior to making your decision on where to place your loved one.